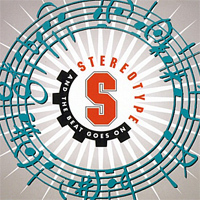 Stereotype was a project of DJ Wondermike. The project was made of a rapper and a female vocalist who really sounded like the performers featured by First Base, the most well-know project of the same producer. No wonder since Tina Safrany and Michael Williams (credited as Mike Williams as songwriter, and as Split Image as rapper) were involved in the project. Music was composed by Gunnar Bartl, Mr. Cobra and Mike Wonder. Lyrics were written by Tina Safrani, Gunnar Bartl, Mike Williams and Stennis Brandt. The Original mix and the Accapella version were mixed at Cocolocco Studios in Offenbach by Mr. Cobra and DJ Wondermike. The Radiomix, Dancemix, Houseremix were mixed at High-Output Studios in Offenbach by DJ Wondermike alone. All tracks were published by Hanseatic, Edition Just Published.